The Pancreas is a pear-shaped gland positioned in the abdomen between the stomach and the spine. It consists of two major components. The exocrine component consists of ducts and small sacs called acini on the end of the ducts. 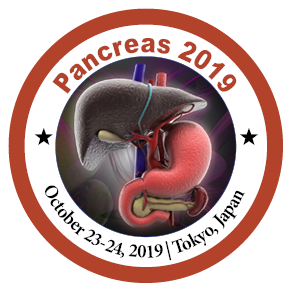 The endocrine component of the pancreas consist of cells lumped together in different locations within this part of the pancreas, called Islets of Langerhans. These cells create specific hormones, most importantly Insulin. Our blood sugar level is maintained by insulin.